The undesirable task of warewashing is labor intensive, energy inefficient, and can require a lot of valuable kitchen space. 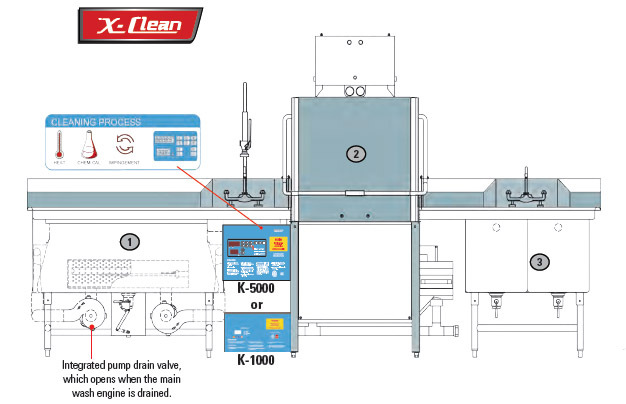 The X-Clean Wash System streamlines the process from scouring a pot or pan, washing cookware and dishware, and sanitizing the wares—with less time, labor, space and cost! The X-Clean combines three kitchen necessities into one compact foot print.